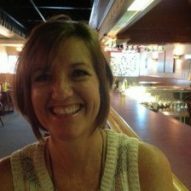 Nancy comes to us from Bloomington, Illinois where she has lived for over 25 years with her husband, Mark, and their 3 children. She was born and raised in Toluca, Illinois, and grew up working for her father, Jerry Bernardi at Mona’s Restaurant. She continued to work off and on in the restaurant industry most of her life, but most recently worked in retail management. She is very excited to be back in the family business, “it feels like home”. Nancy is proud of her family’s history and success in the Italian food business, and is committed to not only serving the finest Italian food in Central Illinois, but providing exceptional customer service to each and every customer.